We are excited to share that AASHE is seeking applications for a STARS & Resources Intern through Monday, April 15th! This is a PAID student internship ($12.75 per hour) and preference will be given to students at an AASHE member institution. The intern will work from their virtual home office up to 40 hours per week during summer 2019 and then up to 10 hours per week during the 2019-2020 academic year. The Resources Intern assists in submission review of AASHE’s Sustainability Tracking, Assessment & Rating System (STARS) and provides administrative and technical support in the ongoing development of AASHE resources, particularly related to AASHE’s online resource library, the Campus Sustainability Hub. 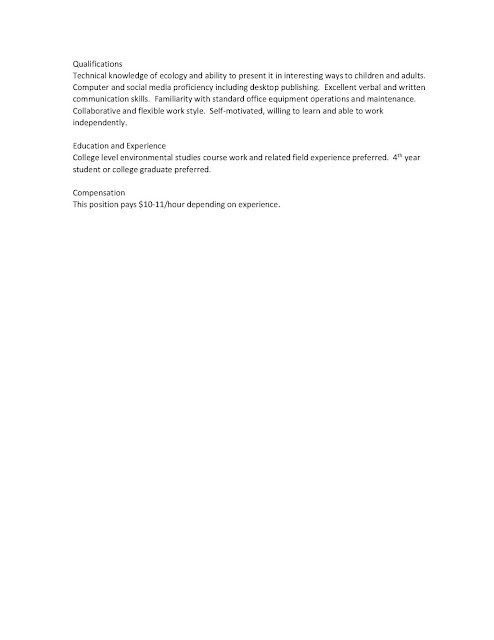 Please review the job description for full details. If you or someone you know would make a great AASHE intern (especially if already familiar with STARS), please apply or encourage them to apply! Applications are due by April 15th, 2019. 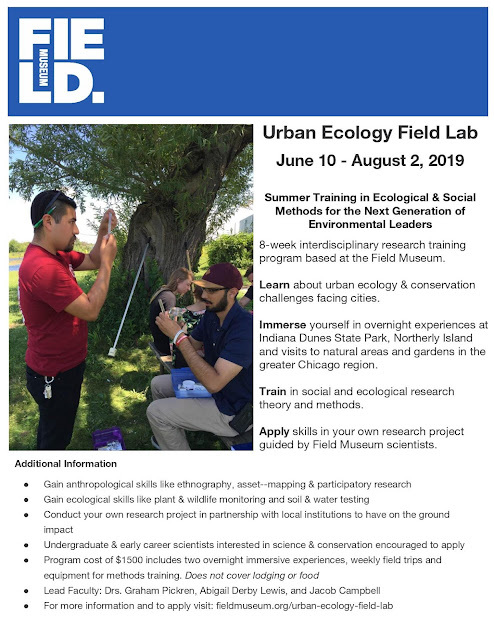 The Field Museum of Natural History in Chicago is now recruiting students for the 2019 edition of the Urban Ecology Field Lab and I think students affiliated with the EECB program at NIU would be interested in applying. 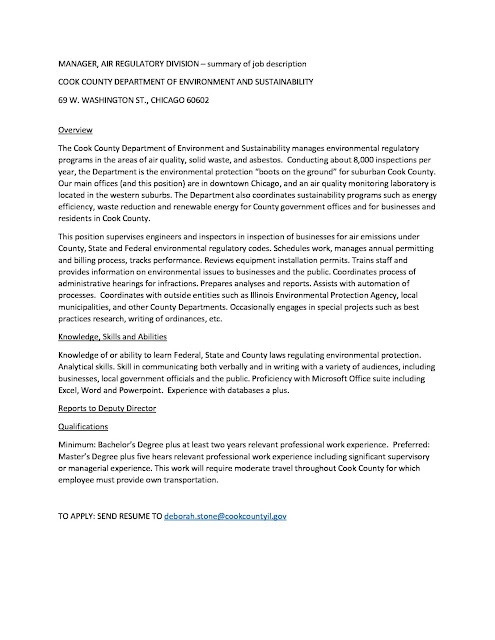 The Urban Ecology Field Lab is a fantastic professional development opportunity that has helped past participants get jobs in the conservation field. We also work closely with students to make sure they can earn credits at their home institutions. 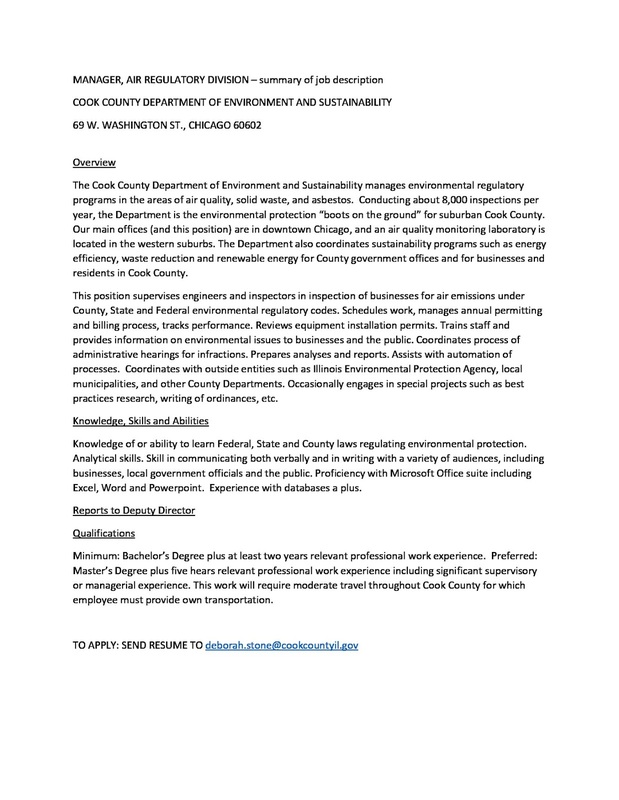 In brief, the Urban Ecology Field Lab is an 8-week interdisciplinary course that will train students in social and ecological theory and methods that will prepare them to conduct urban ecology research, which they will apply in a practicum project in partnership with a local community-based organization and a land management/public policy agency here in Chicago. This is the fourth year of the program and it's been a fantastic experience to be a part of. The program is run by scientists and staff at the Field Museum of Natural History. The program runs from June 10 - August 2. The first five weeks involve methods training, field trips, and overnight immersive experiences. The final three weeks require data collection and analysis, culminating in a presentation of actionable results to local stakeholders doing conservation and social engagement work in the community. While this is a research training program, we are also aiming to generate longitudinal data that will help make an impact in regional conservation practices. The application deadline is April 12th (soft deadline). This is an opportunity for students to gain hands-on training and research experience. 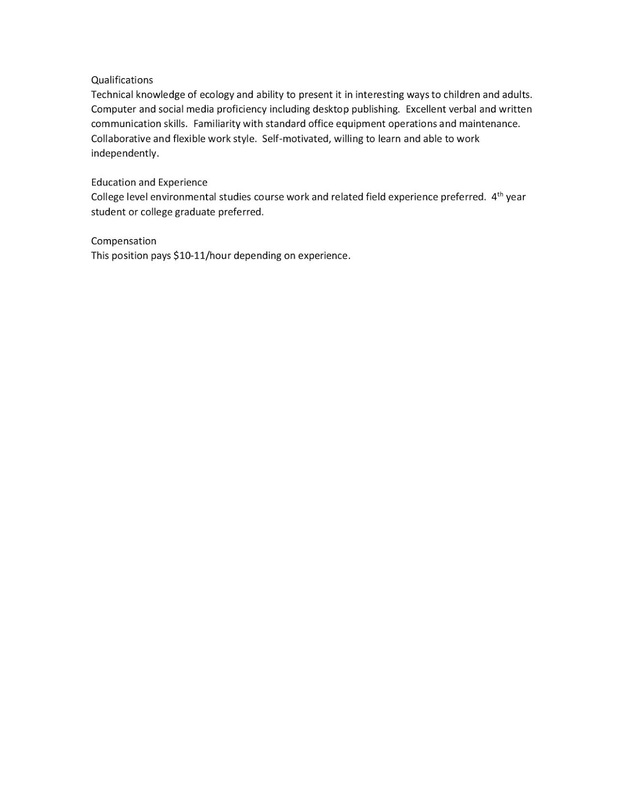 Our aim is to recruit upper level undergraduates and early phase grad students with some experience/coursework in the social and ecological sciences. 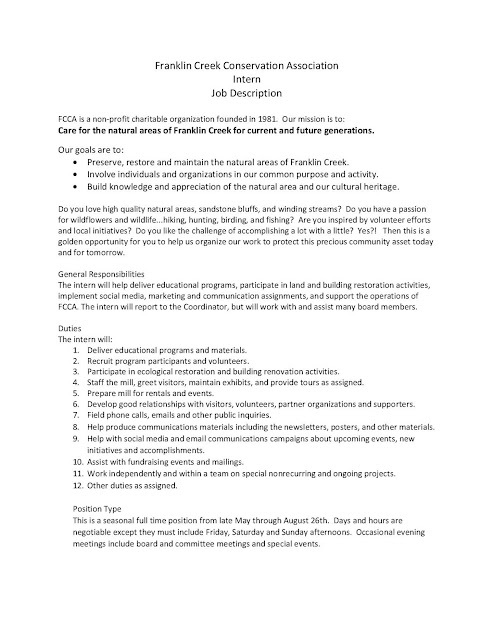 We will work with students to ensure the Field Lab can be used for credit in your home institution (most students register the Field Lab as a 3-4 credit internship).